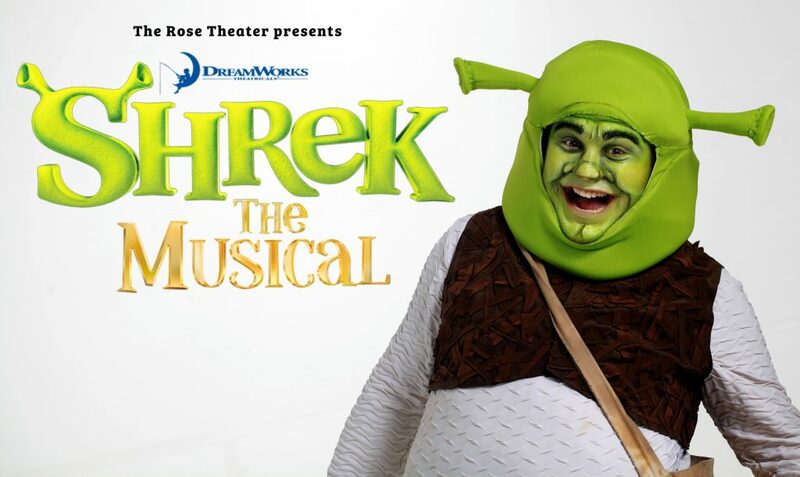 The Rose Theater Omaha Presents Shrek The Musical Sept 30-Oct 16! 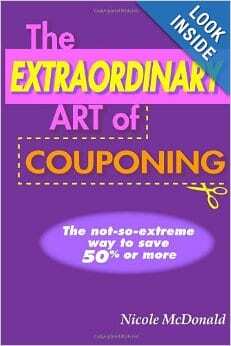 Plus, A Giveaway! Disclosure: I attended a media performance & giveaway provided by the Rose Theater. All opinions are mine. My kids love Shrek and have watched the entire series of movies. They giggle at his farts and love the unlikely friendship between Shrek and Donkey. 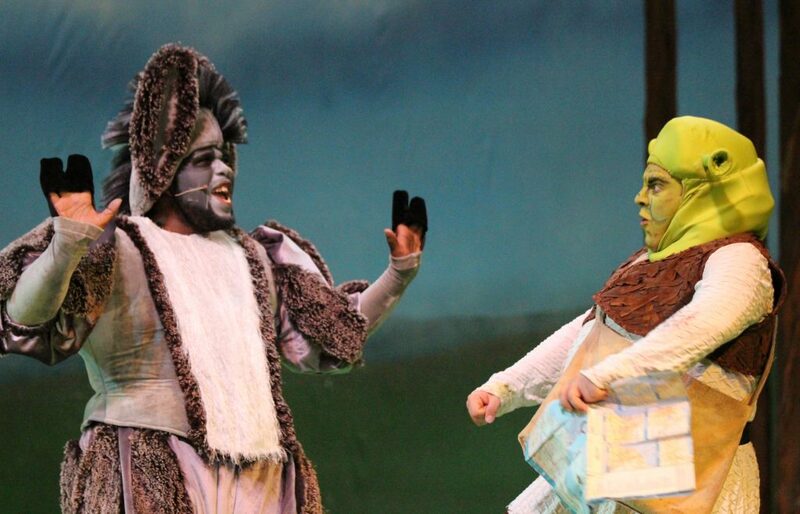 Now, The Rose Theater in Omaha has brought Shrek to life in a fun and hilarious musical. Fairy creatures from the land have been banished to Shrek’s swamp and Shrek wants them gone. He enjoys his quiet and lonely swamps. To receive ownership of his swamp, he agrees to dare his life to rescue princess Fiona for Prince Farquaad, a tiny (but ambitious) tyrant. During his journey, he runs into Donkey and they form an unusual and hilarious duo. 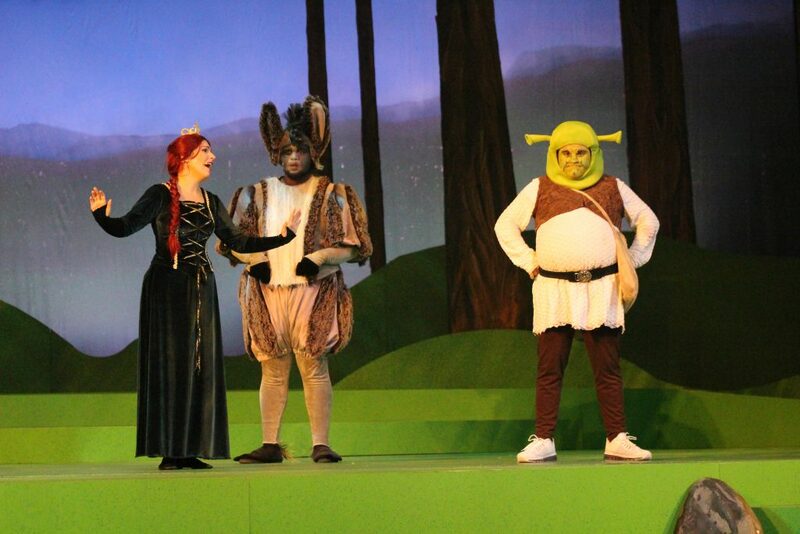 Will Donkey and Shrek be able to rescue Princess Fiona? 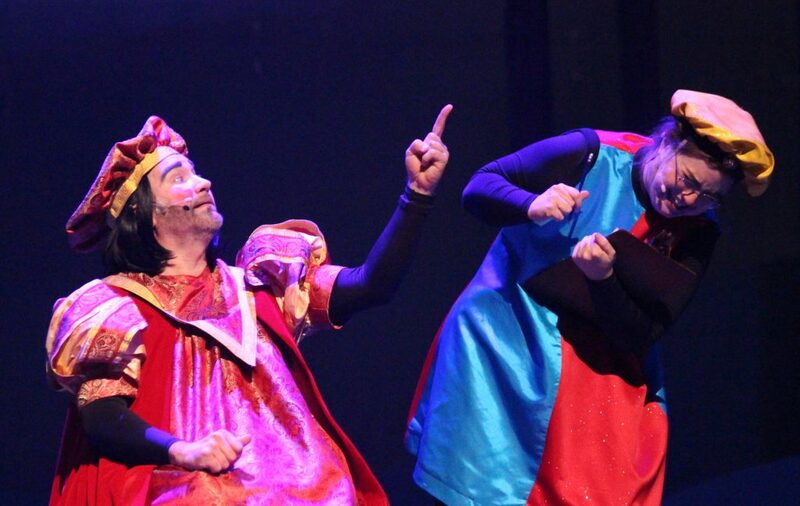 With over 20 songs performed during this musical and lively action, Shrek the Musical is sure to delight. Parents, be warned, there is a two minute belching & farting scene that will have your kids rolling in laughter. In the end, can Shrek overcome the stereotype that he’s unlikable and find genuine friendship? And, can ogres find true love? Tickets: $20 main floor and balcony. Call 402-345-4849 or purchase online. Discount ticket vouchers are available at all are Hy-Vee stores for $14 (reservations required). Save with a Rose Membership: For only $105 receive 4 tickets to each regular season show. There are still six regular shows, including Shrek the Musical, this season, so that’s a huge savings! Plus, there are many more benefits to becoming a member. *All photos from MJB photography. One person will win a family 4 pack of tickets to see any 5pm production of Shrek the Musical at the Rose Theater. Enter using Rafflecopter form below. Giveaway ends Tuesday, October 4, 2016 and winner will be announced Wednesday morning. This would be a fun show! Would love to take my two boys! This would be a fun show to see! Would LOVE to take my middle two kiddos!!! My daughter went there for a field trip and loved it! !